Here's my monthly post of links to my other blog A Novel Spain. Some great views in Bilbao! I think so, and I have evidence to prove it. Check out this blog titled Is Spain the noisiest country on Earth? where there are several anecdotes about how I've suffered from noise here over the years. 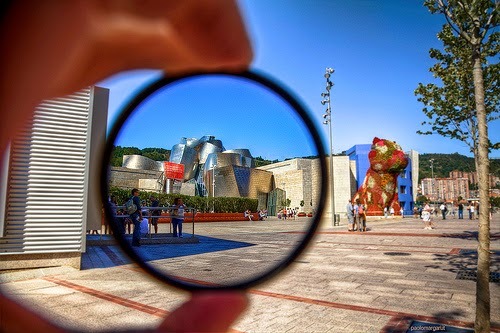 Thinking of travelling to Bilbao? Then have a look at the next post in my series In Search of a Better Spain on my travel section. The latest post is about what happened to me in Bilbao, which leads on to how I almost got arrested there. Here's an expat based blog about what I have learnt while being an expat parent. It's one of my monthly column posts I write for Expat Focus. These blogs are a compilation of the best blogs I've read about Spain and Expat life. The last two are about Tips, Flamenco, and Bilbao and Hong Kong and Housemates from Hell. That's all for this month. Cheers.